We’ve appraised the situation, dear readers. 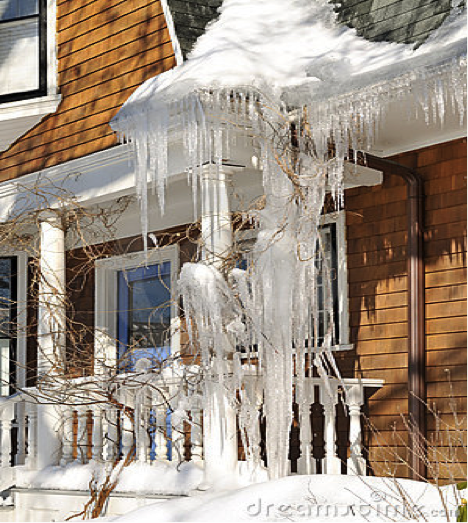 It’s winter in Chicago; the weather outside is frightful and since it can freeze your toes, watch out for these common and costly frozen home woes. Fortunately, we’re not going to leave you out in the cold without solutions. Pahroo Real Estate Appraisal has consulted with a number of our remodeling pros who have literally constructive answers. Here goes with the woes. Hopefully you’ll be snowed with ideas that can save thousands. Water pipes that freeze and break are the most common winter woe, according to the folks at American Water Resources AWR. They don’t water down the bad news regarding repairs, however. The cost to repair or replace a water service averages in the $1,500s, while the typical cost of hiring a plumber can range from $250–$1,500. But you can mitigate that potential danger now! Check your home for other water supply lines located in unheated areas. Both hot and cold water pipes in these places should be insulated. Consider insulation like a "pipe sleeve" or installing UL-listed "heat tape," "heat cable," or similar materials on exposed pipes. If your chimney needs work, more than energy money could be going up the chimney in smoke. You could be placing your family and home in danger due to fire or CO2 poisoning. Get fired up now to do something now. Like Mary Poppins, have a professional chimney sweep pop in. They’re well sooted, er suited to the task of checking fireplace dampers and cleaning to prevent caked-on soot, leaves, and other debris from causing a backup of carbon monoxide and catching on fire. Don't get on your roof to solve this problem; it could be dangerous. Fixing your roof won’t help because your roof is not the problem. Provide adequate attic ventilation so that the underside of the roof and the outside are at the same temp.